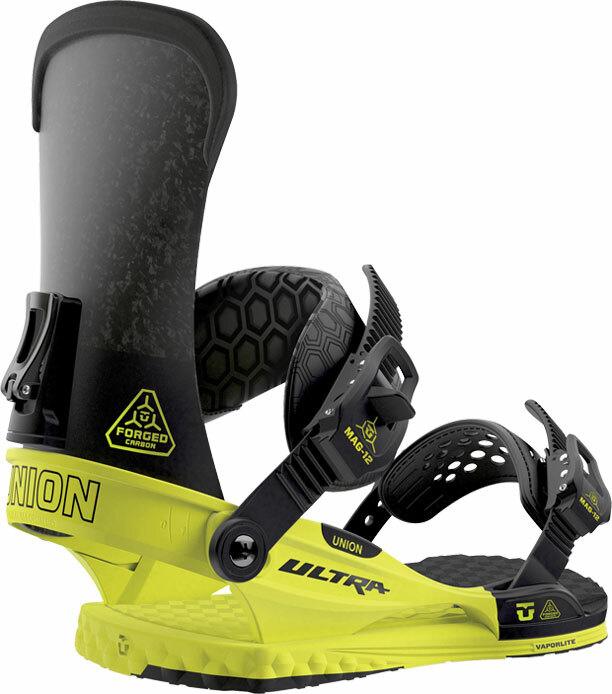 The Union Ultra is like the Contact Pro but with a ton of extra mustard on it. It’s lighter, has a more responsive high back and it’s more responsive. The washers that hold together the ankle strap, heel-loop and high back are new and keep the screws from coming loose. I tested these with my Union Superpros and they work really well. The ankle strap was changed out and it’s the same one we love that’s on the 2019 Union Falcor. It’s much more comfortable and a little more supportive. Might be the best ankle strap from Union that we ever tried. The Toe strap is slightly different but still very similar to the old one. Flex: So the high back feels like the team-high back but it might be a little bit stiffer and it feels a little more snappy. 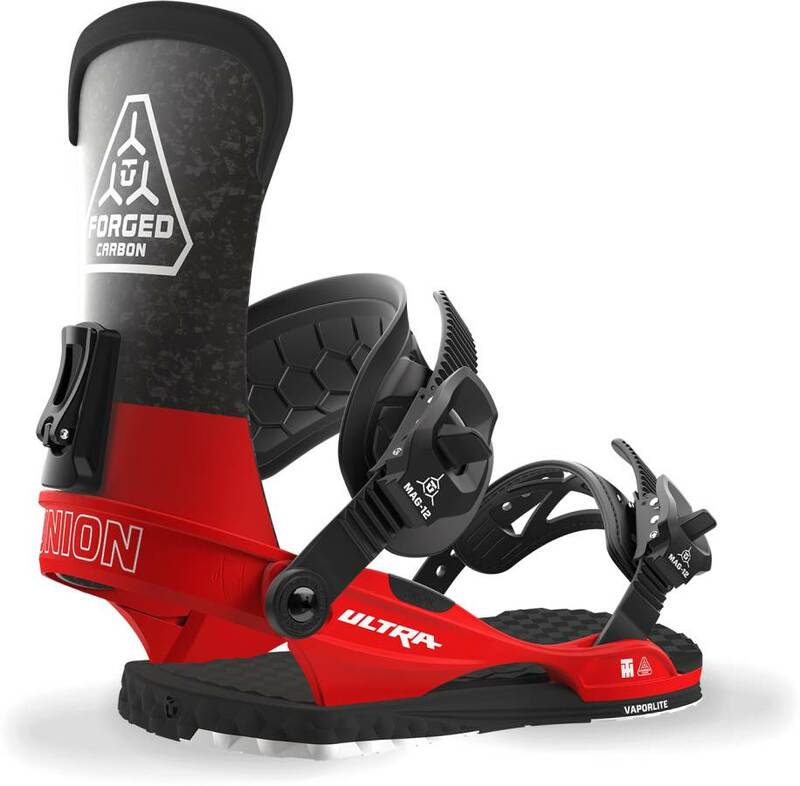 Adjustability: The Union Forged Ultra has similar strengths and weaknesses as the Union Contact Pro when it comes to dialing out the binding to your boot. You can adjust the heel loop to fit your boot size which is super important if you are at the upper or lower end of the sizing recommendations and it really fits the in-between sizes like a 10.5 or 8 boot well. There is no adjustability in the toe ramp but the adjustable Heel loop helps out with that. 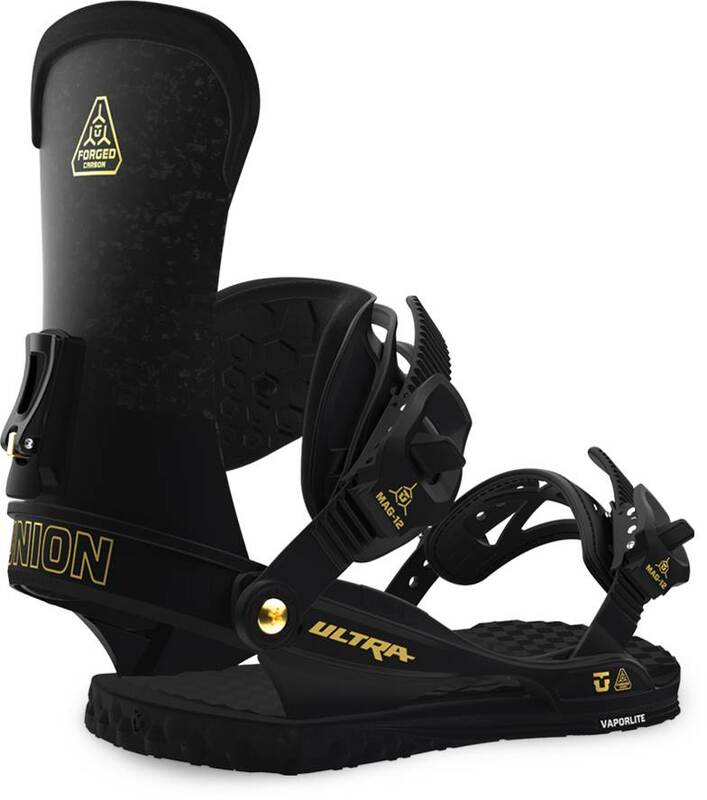 Some drawbacks are that you cant adjust the angles of the ankle strap without un-centering your boot in the binding and you can’t rotate the high back without getting trick by pushing in one side of the heel loop. 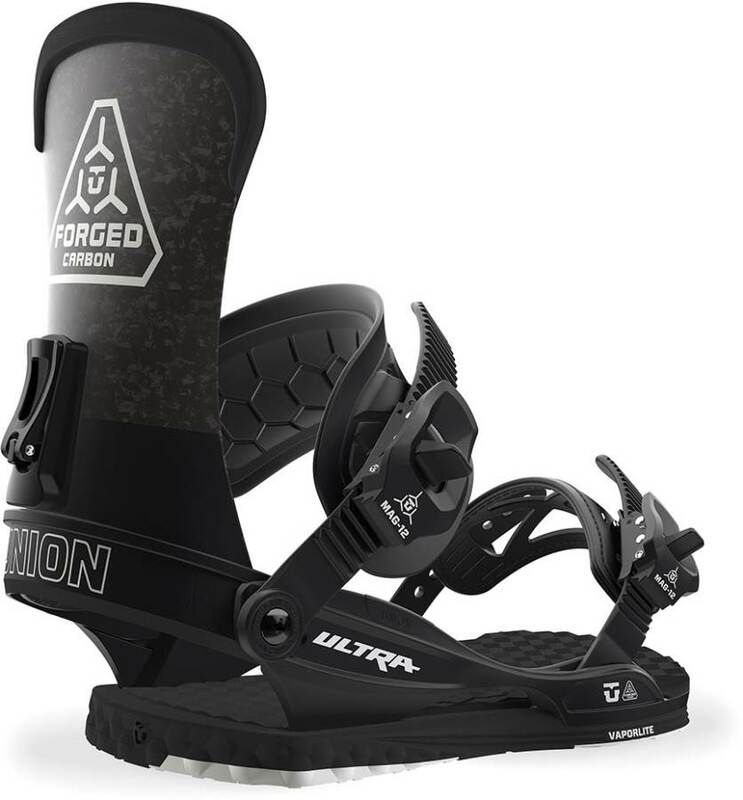 Comfort: Nice very comfortable feel on the binding and with the 2019 ankle strap it’s even more comfortable. 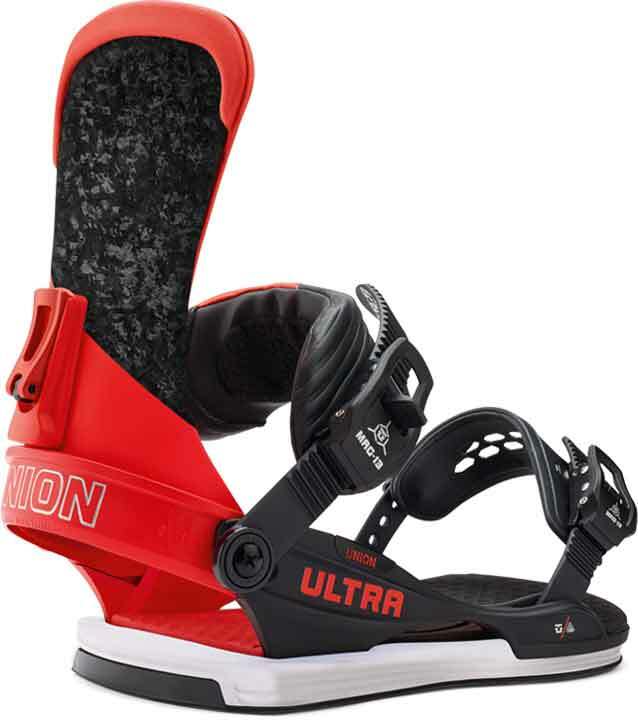 The high back is super stiff so it can bite into some larger calves like mine and even with a rotated heel cup, I couldn’t get it to feel as good as the other high backs in Unions line. Turn Initiation: Feels a little quicker than the Contact Pro and the forged carbon version of the team high back feels a little snappier. It still borders on the medium side of the response spectrum. 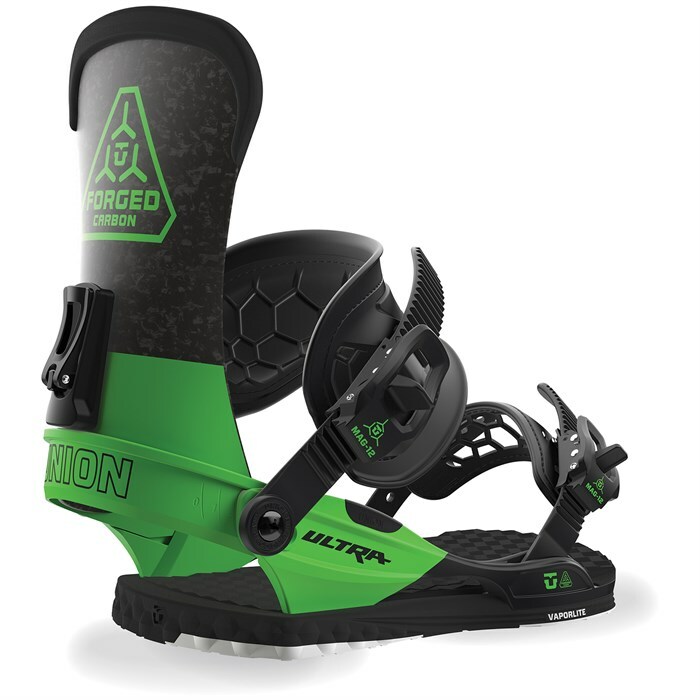 Buttering: Same amazing binding when it comes to buttering and the mini disc makes it a step above all other bindings in Unions line except for the Contact Pro which has the same one. It makes boards flex easier underfoot. 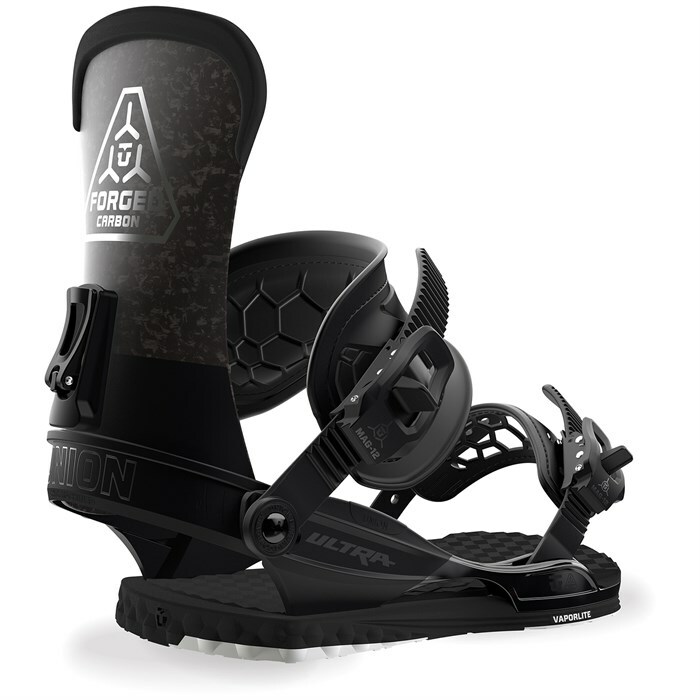 Boot Support: The 2018 Ankle strap isn’t bad and is pretty good at giving you decent support as well as freedom of movement. That being said the 2019 Ankle strap is way better. It’s super comfortable and pretty supportive. Ratchet System: Nice and easy on and off. Shock Absorption: So the shock absorption felt like the Contact Pro except lighter and maybe a touch better which is outstanding. So all in all this is a pretty expensive binding and other than the ankle strap I really liked the ride. For this price, though I’m more fine with the Contact Pro and don’t mind it’s extra weight. 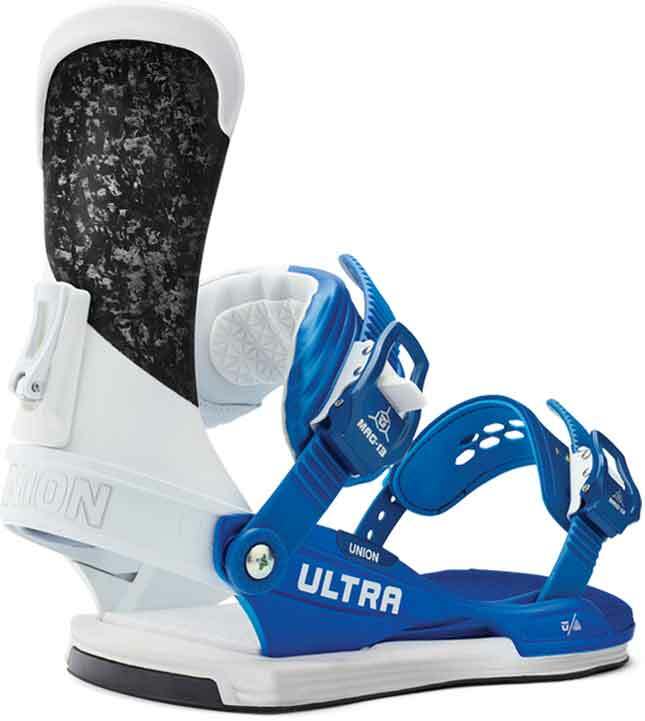 We try to get as many images of the Union Ultra, but forgive us if they're not all there. Honestly, this binding is crap. Paid a fortune for them. They started coming apart on the 3rd day. Spent half the winter in the shop getting them fixed. The construction is flimsy and the parts are weak. .I was so frustrated, I just stuck them in the back of the garage. 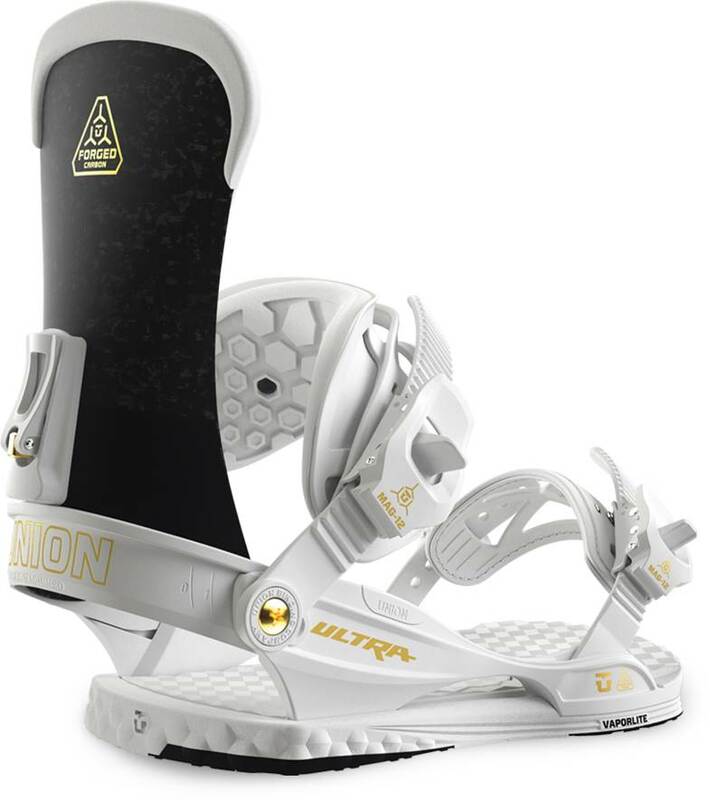 Bought a pair of Burton Freestyle (beginner bindings) for 1/3 the money. Yes, these are not great either, but on the other hand, when I wear them out, I wont be crying about the cost of replacement. They have already outlasted the Unions. Stick to Burton people. Not fancy, but generally tough as nails.